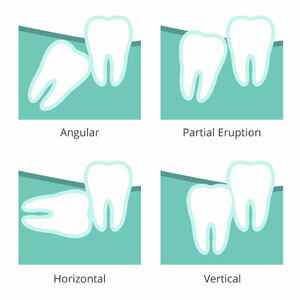 Wisdom teeth are the third and final set of molars to erupt in a fully developed smile. For most individuals, they start to become evident sometime during the mid-teen years through the 20s. Because wisdom teeth are at such elevated risk of developing infections, they pose to jeopardize the condition of otherwise healthy teeth around them. As such, we may recommend extracting a wisdom tooth if it is likely to lead to concerns in the near future. At 7 Pearls Dental, your comfort is one of our top priorities. 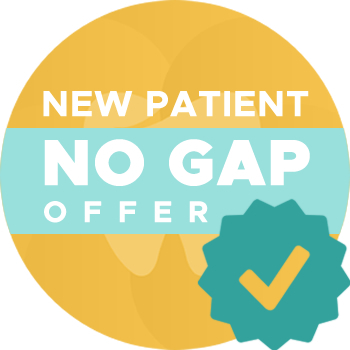 During an oral surgery such as wisdom tooth removal, we offer extra services to help you relax throughout the appointment. Choose between laughing gas or conscious oral sedation. With laughing gas, you are fully aware and conscious throughout your treatment, but the analgesic effect helps you to feel more at ease as anxiety is reduced. A local anaesthetic to numb the extraction site is still used. If you prefer oral sedation, you will feel sleepier and may potentially experience an amnesic effect where you don’t remember as much about your trip to our office. Do You Need Your Wisdom Teeth Extracted? Contact our family dental practice today to book a wisdom tooth evaluation for yourself or your teen to learn more. We’re open seven days a week to best accommodate your busy schedule!